About a decade ago unbeknown to me dogs would change my life. At the time I owned two Alaskan Malamutes and I was recently widowed and newly a single mother of three very young children. My Malamute’s were just pets – great pets, who loved my children and wanted nothing more than to be by their side. My good friend who just so happened to run Siberian Huskies in mid-distance dog sled races, which I knew nothing about, decided to come to Colorado and give Sprint mushing a try and to expand his kennel, Trafalgar K9. I knew a little bit about training and a little bit about breeding dogs, I knew nothing about harnessing, lining out, or dog sledding at all. Within two months Robert and I had gathered about a dozen ragamuffin Siberian Huskies who had been in harness but let’s just say were not quite third string team members. Robert showed the kids and I a whole new world. We did things that we had never done before. 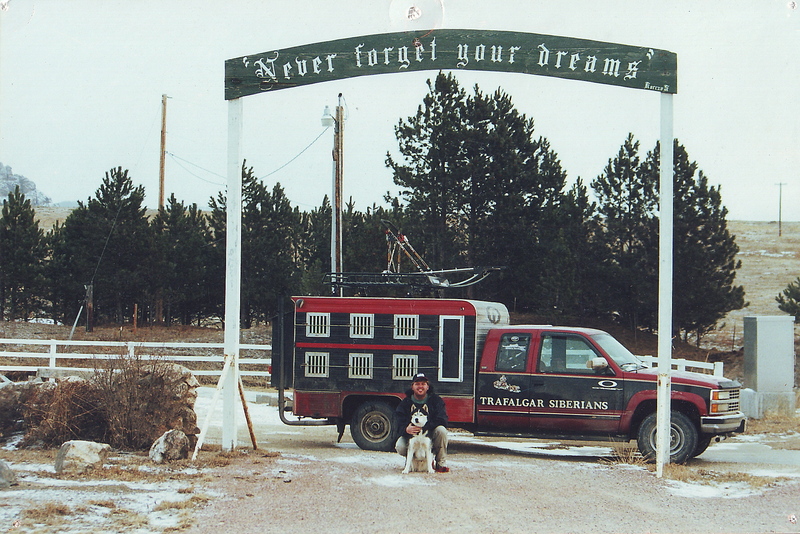 Never Forget Your Dreams – was discovered by us one day while traveling to a dogsled race in South Dakota – it has become our families motto and we have given countless people the opportunity to find and follow their dreams through training their dogs to be the best they can be. After a decade of waiting and growing together as a family – Robert is finally getting back on track and following his dream. While Robert prepares for running the Iditarod in 2013 – I am reminded that he originally was preparing to run the last great race in 2003. He has patiently waited while our children have grown and while I’ve taken myself down a different career path just to return to the dogs. I am very proud of my best friend for never forgetting his dream and more importantly for standing by my side while I developed my own dreams.